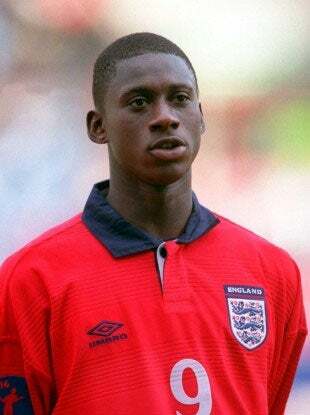 Cherno Samba was an unremarkable professional footballer who retired this week at the age of 29. For a generation of video game players, though, he was—and remains—a living legend. See, while Samba’s career fizzled out across a number of clubs from Europe to Africa, when he was a teenager he was seen as one of the hottest prospects in world football. So the developers of the Football Manager series (back when they worked on Champ Manager) loaded the young player with blossoming potential stats, meaning that once the virtual Samba came of age, he was basically Beast Mode. As the Guardian remembers, as far back a 2001 it was a common tactic for players to sign the teenage Samba, stick him in the starting lineup then play him for decades, winning everything along the way. Sadly, his actual performances never hit the same heights; like so many other promising prospects (he represented England at youth level and Gambia in senior appearances) in a game that chews up kids and spits them out at an alarming rate, Samba bounced around lower-league teams before calling it quits this week at a time others in his age bracket are signing the biggest contracts of their careers. Samba is far from the only young player whose Football Manager/Champ Manager stats failed to match the reality; the Guardian has a good rundown of others, Tonton Zola Moukoko and Kennedy Bakircioglu.